Concurrent Technologies, a leading supplier of processor solutions for demanding environments, has partnered with Lynx Software Technologies to provide solutions for applications requiring a secure virtualized environment. The LynxSecure Separation Kernel Hypervisor enables simultaneous operation of general purpose and real-time operating systems whilst meeting the security needs of the US Department of Defense. It is particularly suitable for use on Concurrent Technologies’ rugged server TR C4x/msd and TR G4x/msd boards, that are available with 12-core Intel® Xeon® processor D-1500 and up to 64GBytes of DDR4 ECC memory. These boards, in conjunction with LynxSecure hypervisor technology, are suitable for high performance computing tasks that are common in ground and vehicle based military applications. By having sufficient compute and memory resources, each processor board can run several self-contained, secure guest operating systems including Windows®, Linux and real-time operating systems such as LynxOS and LynxOS-178. “Our Intel® processor based boards have hardware virtualization capabilities and by partnering with Lynx Software Technologies, our customers can take advantage of these features to create solutions that are capable of meeting stringent security requirements. 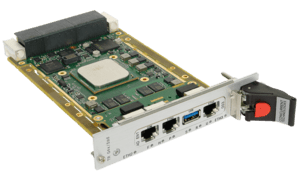 In addition, these customers can consolidate several applications on a single server board like TR G4x/msd to significantly reduce the size, weight and power (SWaP) characteristics of their solution which is very attractive”. 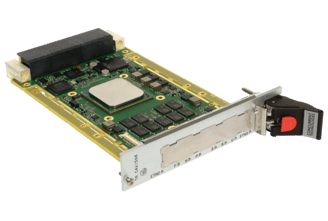 “Our LynxSecure separation kernel hypervisor is a great fit with the Concurrent Technologies’ range of rugged processor modules because it offers a compelling security solution for mission critical systems. This is achieved by separating the guest operating systems and application code into self-contained partitions so that they can be modified without impacting the security architecture”.